Synopsis: When a young hobbit Frodo Baggins receives the One Ring of Power. 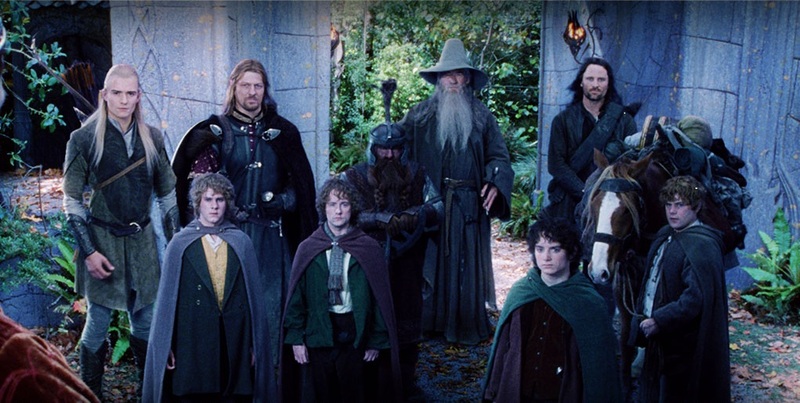 He along with eight unlikely companions set off on a quest, to journey to the heart of Middle Earth and Mordor and destroy the Ring. Review: When discussions about films and more specifically film trilogies rage across film schools, and fans of films in general, several trilogies may get mentioned and debated vehemently. Yet, the name of one trilogy that could and should always be mentioned is Peter Jackson’s The Lord of the Rings. A project that Jackson considered way back in 1995, but through various deals falling through, and tough negotiations that reached an impasse, with talk of it being two films instead of three. It was a tough challenge and despite the production impasses, it pulled through and the final end product is what many believe to be one of the finest trilogies in the history of cinema. and thank goodness it was three films and not two! Thanks to the brilliance of John Ronald Reuel Tolkien, the mastermind behind this incredible world of Middle Earth, came into being, and his trilogy of novels, and it was Peter Jackson who took up the challenge to adapt it for the big screen. With a screenplay by Jackson, his wife Fran Walsh and Phillipa Boyens, the land of Middle Earth is beautifully realised and the world is established in all of its glory. On top of that, we are provided with some sweet action sequences within the first 20 minutes. Yet there is much to be built up, events to be established in order to bring those who will have not read Tolkien’s works up to speed. Build up can be a slow tedious process, but not here. The world of Middle Earth is so enthralling, it’s just gripping to watch as the audience is introduced to this vast world and all of its key characters, of which there are many. The cast is quite extensive, but every single performance on show shines and shines brightly. However, it is the main ensemble of the Fellowship all lead the way with sublime performances from each and everyone one of them. However, there are however some stand out performances among the wealth of great acting on show. Elijah Wood as Frodo, who is the one tasked with the seemingly impossible challenge of destroying the ring. Viggo Mortensen as the fearless and strong warrior Aragorn, who is a key piece of the puzzle, and Ian McKellen as Gandalf the Grey likewise. With the late and great Sir Christopher Lee also showing his tremendous ability and deep booming voice as Saruman the White. Sean Bean also gives a very memorable performance as Boromir the warrior of Gondor. All of the aforementioned give superb performances and the acting from all is of such a top quality, that you do not see the actors any more, you see the characters, and that’s a credit to everyone involved. The cinematography is beautiful from start to finish. The film is packed with some breath taking shots of Middle Earth AKA New Zealand scenery. There are plenty of superb swooping shots that to leave the audience breathless. In addition, there is some awe-inspiring visual effects such as the with the battle scenes are also sublime but in terms of battle scenes, the best is saved for later in the trilogy. This isn’t to say that there are some terrific battle scenes here, The score composed by Howard Shore is equally epic in every sense. From the jovial tune that we hear in the Shire to the sinister notes we hear when entering Isengard. Every scene is accompanied by a beautifully composed tune that captures each scene perfectly. Out of the thirteen nominations received, the film bagged four Oscars for Cinematography, Score, Visual Effects and Make-up, and all were very well deserved. 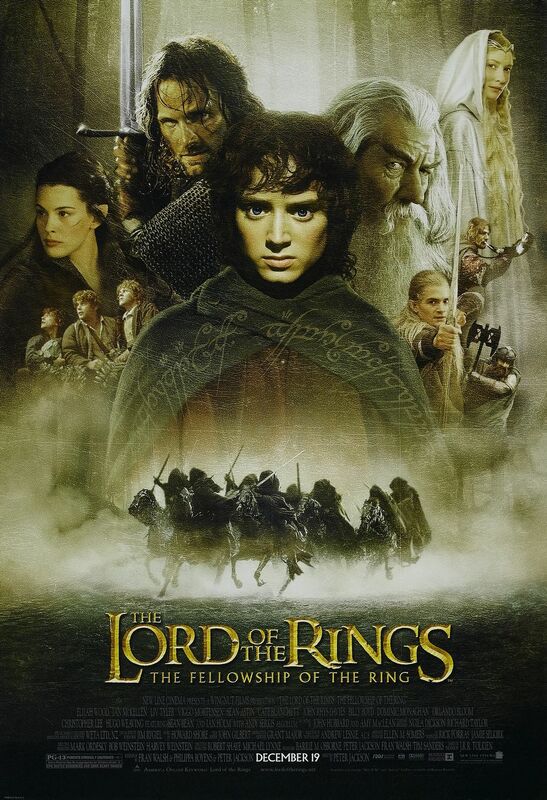 Fellowship of the Ring was the perfect start for this trilogy and it set the benchmark. There are some great themes packed throughout this film. Friendship, honour, sacrifice and loyalty. It is just simply a joy to behold. Every element of this film hits the spot, and it hits it perfectly. Some may say its too long (not counting the extended edition!) While it is long, it is impossible to deny the sheer brilliance of what Jackson brought to the big screen. We will never know what Tolkien would have made of Jackson’s vision of his beloved trilogy, but one would hope that he would have loved what he saw, as audiences around the world certainly did! Visually breath-taking, with a riveting and terrific story, some superb action sequences, a fantastic score and a tremendous ensemble cast, the first instalment of this trilogy set in motion one of the best trilogies of all time.